Each month, PTBOCanada will award someone that is making a difference locally that you nominate. 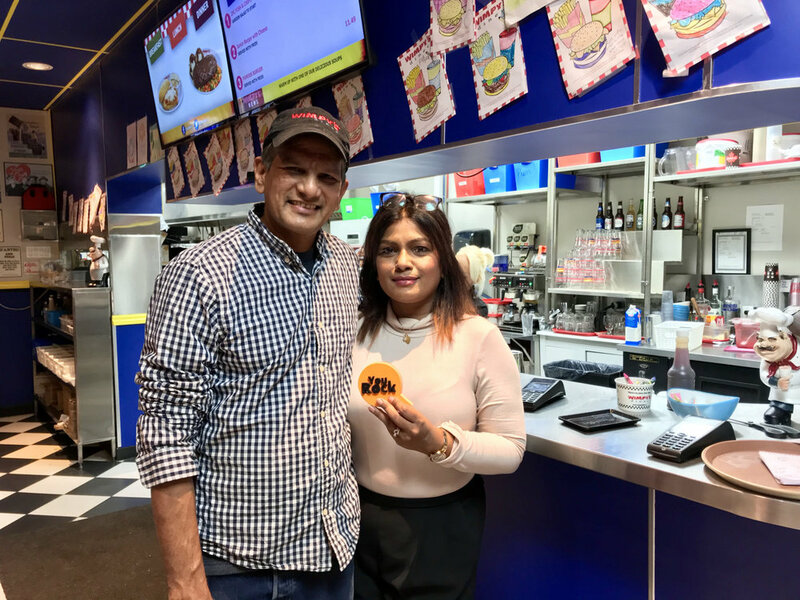 This month, Chad Buchner from Small Change PTBO gave a glowing shoutout to Sam, Bonnie and Tas Shamsuz—the owners of Wimpy’s Diner (1080 Lansdowne Street West). These people have supported this community for the past two years by serving people free Thanksgiving meals for those who need a small change. Recently, we served over 350 meals and this family welcomed everyone into their restaurant just like it was their home. Know of an unsung hero who has made a difference here in Peterborough? Nominate them for a “You Rock” award and they might receive a handmade token of their awesomeness!